Tilt-shift miniature faking has been around for a while. But I hadn’t seen Tiltshiftmaker before. And decided to give it a go. It’s a web site where you can upload an image or give it the URL of an image. Then it adds a simple blur effect and adjust the color to make the illusion of a miniature model. Works pretty good. And by the way. 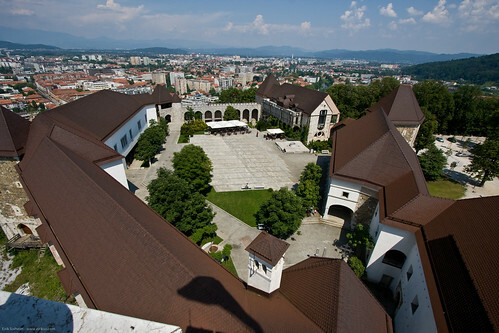 The image is from Ljubljana in Slovenia. Fantastic city. And if you want to do it with photoshop you can try one of the many tutorials out there.